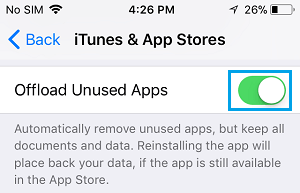 In case you were not aware, it is possible to Offload Unused Apps on iPhone and free up storage space on your device. At any time, you can reactivate the offloaded Apps and resume using the Apps, without losing any App related information. A new feature introduced in iOS 11 allows you to remove Apps from iPhone or iPad, without losing the App’s Documents & Data. 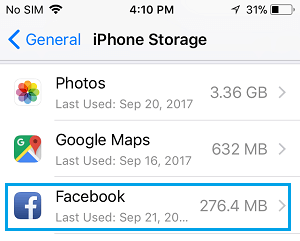 This means that you can remove Apps to free up storage space on your device without losing the data associated with the apps. You can re-download the App at any time on your device and pick up the App right from where you had left it. 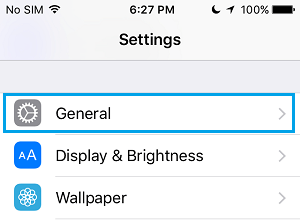 The Offload Unused Apps feature can be used in two different ways. 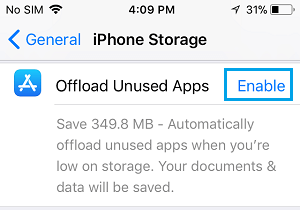 You can either manually Offload one or more Apps to free up storage space on your device or choose the option to let your iPhone/iPad automatically Offload Apps that you don’t normally use. 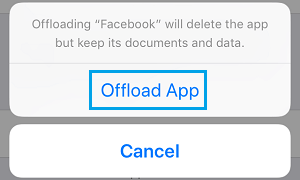 Follow the steps below to manually offload Unused Apps on your iPhone or iPad. 4. On iPhone Storage screen, scroll down and you will be able to see the amount of storage space occupied by various apps on your iPhone and also the dates on which you had last used these Apps. After reviewing the Apps, tap on the App that you want to offload from your iPhone (See image above). 6. On the pop-up that appears, tap on Offload App to Offload this particular App from your iPhone. 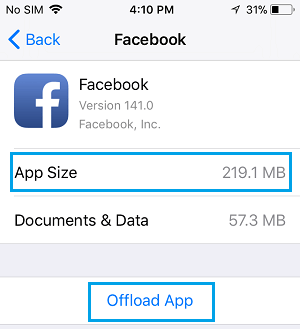 Offloading an App on iPhone will free up the amount of storage space occupied by the App itself (indicated as App Size) and it will only remove the App from your iPhone, while still retaining all the Documents & Data associated with the App on your device. 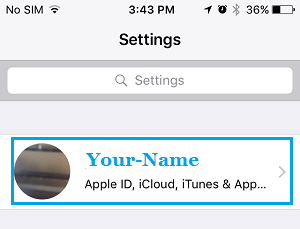 Once the App is Offloaded, the App icon will still be available on the home screen of your iPhone, but it will have a cloud download icon next to its Name. At any time, you can tap the App icon and your device will immediately begin downloading the App and you will be able to use the App like you did before. Instead of manually Offloading Apps, you can set your iPhone or iPad to automatically Offload Apps and Free Up Storage Space on your iPhone. 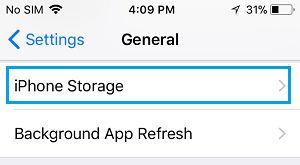 In this case, your iPhone or iPad will only Offload Apps when it is low on storage space, and it will only remove those Apps that you haven’t used for a while. 2. On the iPhone Storage screen, tap on the Enable option located next to Offload Unused Apps (See image below). You can also Enable this option via the iTunes and App Store screen. 3. On the Apple ID screen, scroll down and tap on iTunes & App Store. As mentioned above, Offloaded Apps will still be visible on the Home Screen of your iPhone with a Cloud Icon next to them. At any time, you can just tap on the App, in order to download the App to your device and start using it again.